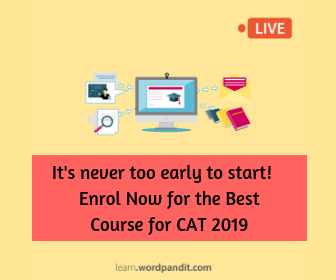 The objective of the four month course for CAT is very simple: to help our users with their study plans and help them plan their prep, in a systematic manner. We have outlined what needs to be done for the three CAT sections for Month-2 and have provided links for the material available on this website. Please make sure you keep up with the plan. When we started the 4-month plan in May-June, we had no idea we would get such a great response from our users. Our objective was very simple back then, and the same as it is now: to help our users with their study plans/plan their prep, in a systematic manner. As we enter month-2 of our plan, we feel we did a fairly good job in month-1. We continue our focus on Basic Concepts this month. Along with that, you would have English Section Tests available this month. We will introduce a special RC module this month, covering this pivotal topic in CAT in the most comprehensive manner. Unlike month-1, we would add the material for this month (i.e. the notes, tests, presentations etc.) one at a time. We are doing this because there is a lot of content to upload and we require a whole month to do so. Your task is: visit this page on a daily basis to discover new content. 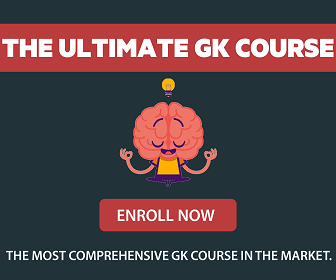 Also, one small favor from all our users: Kindly recommend our course to all your friends. Send e-mails, & SMS, communicate orally, spread our links at your workplace; this is the fee we demand for this free course that we are providing you. We will be constantly adding material during the course of this month, so make sure you regularly check this page. Summary Writing is a topic that poses one simple question: summarize the text given (in a sentence or two). The paragraph summaries posed in this question type require a mix of understanding, reading skills and inferential ability. Read the concept notes to discover the basics of the topic. Two topic tests will be added next week. Read concepts here. Critical Reasoning is a topic that is going to make you think. A highly practical topic, this one requires a combination of logic skills, practical understanding and grasp over the language. As always, in case you wish to excel in any English topic, you have to ensure your reading skills are up to the mark in order to draw perfect the topic. Explore the Basics of Critical Reasoning here. Para-completion is a topic that has become a permanent part of the CAT exam. Over the last few years, that topic has always been there in every CAT exam, and is one of the trickier portions of the exam. It requires a high degree of skill and command over language, and the questions in this section can only be answered if one comprehends the paragraph completely.Explore the Basics of Para-completion here. Reading Comprehension is probably the most important topic in the CAT English section. RCs make up almost 50% of the CAT English section, and they are an absolute must: you can leave any other topic in CAT, but RCs. Keeping that in mind, we bring to you a special 10 part series on Reading Comprehensions. But before we begin that series we recommend you to go through the Basics of Reading Comprehensions here. Arithmetic is the 2nd topic that you explore for your CAT Test prep. After having explored Number System in month-1, where you develops an understanding of the way numbers act and behave, in month-2, you extend that learning to a topic of mathematics that is heavily applicable in our everyday life. Arithmetic is an important topic in CAT, & we recommend that you study it in detail. We have uploaded the 4 arithmetic chapters along with its tests and will be adding the rest one topic at a time. The trick to solve LR questions is to make a small diagrammatic representation of the given problem and then to fill in the information given. This is the flowchart approach to solve these questions and this works best. Solving these questions verbally can leave you in a tangle. So make sure you draw a small little diagram every time you solve these sets. The first half of the Vocab Builder is based on Visual Vocabulary, with 5 word-posters provided for you every day. These 5 words are mixed according to difficulty and their probability of appearing in exams. 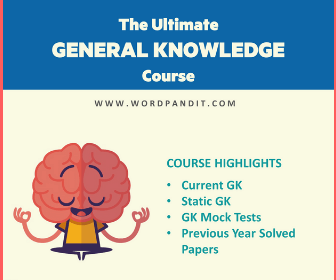 You may already know some of these words but you need to worry about; there will be plenty of words featured during the course of the complete course. We provide one flashcard set a day, featuring 10 words. These mobile-friendly cards can be viewed at any time, and are meant to act as a reinforcement for your current vocabulary database. Words are accompanied with synonyms and antonyms, and you can make handy clusters to memorize these words.